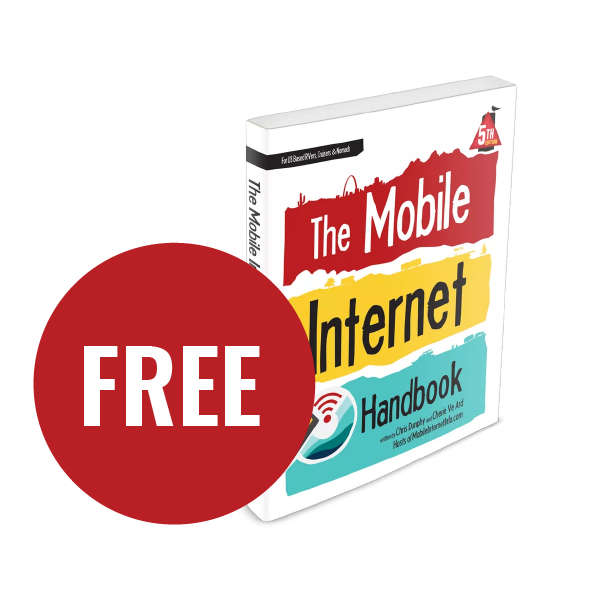 Update - While Verizon hasn't published any official guidance on this, it seems that any Jetpack or Tablet line added to an Above Unlimited plan for $20/month will only receive 15GB of high speed mobile hotspot data. Also, both device types are now subject to a 15GB network management threshold. For tablets, this is a downgrade from the previous 22GB included for on device usage. Additionally, wording on the plan states that video playback is restricted to 720p for all device types and that the video data boost option for an additional $10/month only brings video playback up to 1080p (it used to allow full 4K when it rolled out last fall). Early this morning Verizon announced that on June 18th, 2018 it will be rolling out a new tier of unlimited data plan: Above Unlimited. 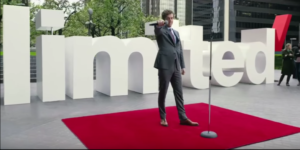 It's a little more 'unlimited' than Verizon's existing 'Beyond Unlimited' plan. And definitely more unlimited than the speed-throttled (for hotspot data) 'Go Unlimited' plan. But Verizon must have laughed the executive out of the room who proposed launching an "Actually Unlimited" plan. Despite the name, "Above Unlimited" still comes equipped with a lot of frustrating limits. But for now - the Above Unlimited plan includes a mix of new capabilities that does make it an interesting upgrade for many of the most demanding Verizon customers, all for just $10/mo more than the existing Beyond Unlimited plan. And for the first time, multi-line households can mix and match different tiers of Unlimited plans together. The signature feature of the Above Unlimited plan is the raising of the network management threshold to 75GB, a substantial increase from the 22GB limit of the older Verizon plans. But this limit only matters on actively congested towers. 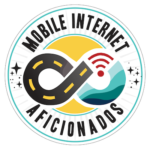 "In times of congestion, your data may be temporarily slower than other traffic (only after 22 GB/month on Beyond Unlimited and 75 GB/month on Above Unlimited)." Above Unlimited will also include 20GB of high-speed off phone hotspot data per month - an increase from the 15GB cap. 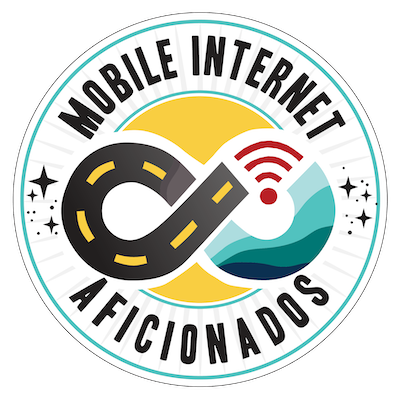 Speeds will slow to 2G (600 kbps) after the cap is reached. In addition, lines on Above Unlimited will have use of 5 Travel Passes per month and be given 500GB of Verizon Cloud Storage access. In other words - its still a pretty limited plan for heavy hotspot data users. But - it is a bit less limited unlimited. 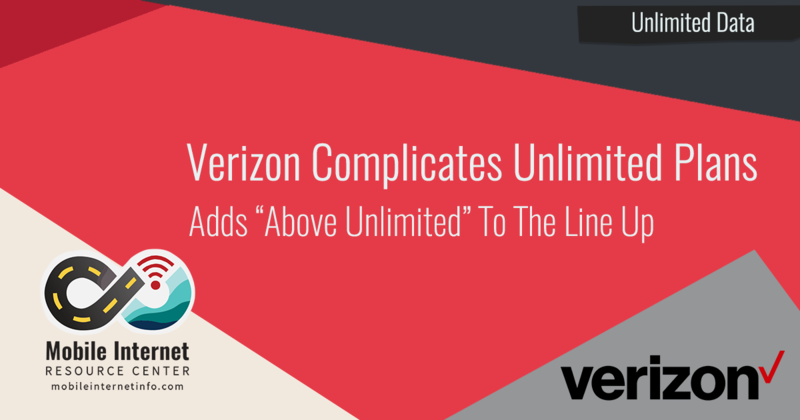 The Above Unlimited plan will be added to Verizon's line up of 'Beyond' and 'Go'. And starting on June 18th, you'll be able to mix lines of all three types of unlimited under a single account. Yep - if you don't need 20GB of hotspot data on every phone line on your account, you can now mix and match with Beyond and Go lines. You can also change tiers easily as needed - adding the potential for increased flexibility and cost-savings for those with multiple lines on your account. 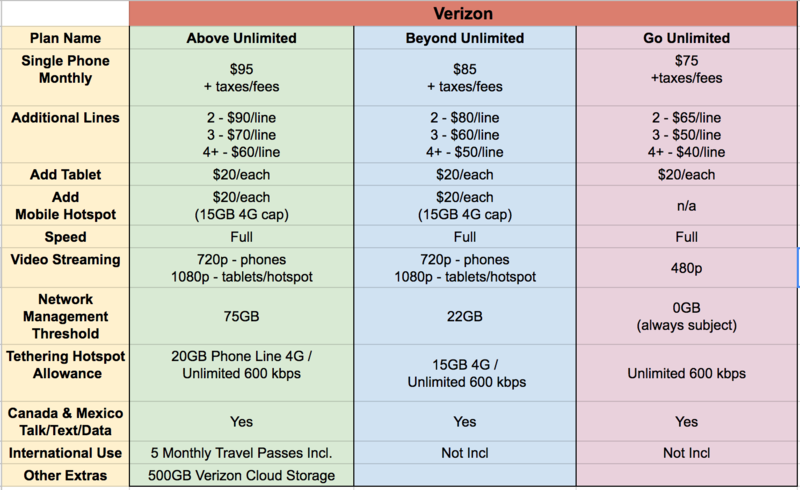 Verizon's limited "unlimited" plan is becoming a bit less limited, for a price. While the other carriers seem to be fighting to lower prices - just this week Sprint offered (pretty limited) unlimited data lines for $15/line! - Verizon appears to be taking the opposite approach in offering a new plan at a higher price - with some bigger features. It will be interesting to see if the other 'three' of the 'big four' follow in Verizon's footsteps. Now that Net Neutrality is no more, we worry that there may be some changes in how the carriers treat data usage and define "congestion". If the towers are always "congested", customers may feel forced to pay for an Above plan to increase the management threshold to 75GB. We will update this breaking news story as we learn more. What About Grandfathered Unlimited Plans? 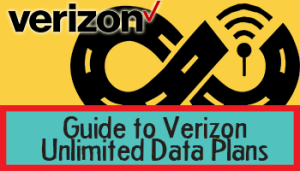 Ggrandfathered Verizon unlimited data plans are hard to come by. We keep our guide to everything we know about these coveted plans regularly updated for our site members. 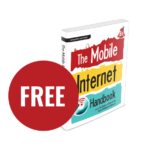 The truly unlimited grandfathered Verizon unlimited data plans from years ago continue to be the ultimate option for those with more substantial data needs, and as of this moment, most of these lines continue to work wonderfully. 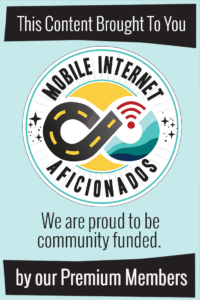 But just this week we've learned that Verizon has taken another swing at cracking down on some of these old plans, and in our member area we are tracking several new waves of warning letters and sudden line cancelations. We are still digging into the details around what lines might be at risk and what are safe and will be sharing more with our members as we learn more. Stay tuned.